Spread some joy with Indy Urban Acres Sunflowers! 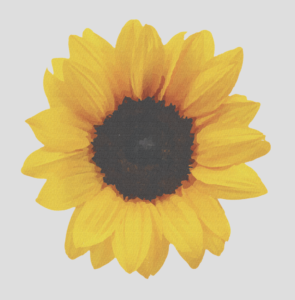 Available now, purchase Indy Urban Acres single stem sunflowers in increments of 25 for $50.00 (maximum of 500 per order). All proceeds benefit Indy Urban Acres. Indy Urban Acres, a project of the Indianapolis Parks Foundation, is a collection of four organic farms that provide equal access to free, high-quality produce while empowering and educating the community. According to a 10-month study by Rutgers University, flowers are a natural moderator of moods and have strong positive effects on emotional health. Flowers have immediate impact on happiness. All study participants, in every age group, expressed excitement when receiving flowers. Reactions included surprise, genuine happiness and gratitude. Flowers have a long-term positive effect on moods. Study participants reported feeling less depressed, anxious, and agitated after receiving flowers. They also demonstrated greater sense of life satisfaction. Flowers create intimate connections. Giving and receiving flowers creates positive contact between family and friends. Indy Urban Acres Sunflowers will be available while supplies last. Order weekly, bi-weekly, or as needed. – For an additional $25 fee, we will deliver to you. – Or, pick up your flowers at Indy Urban Acres (7700 E. 21st Street)—come check out the farm and meet some of our awesome staff! 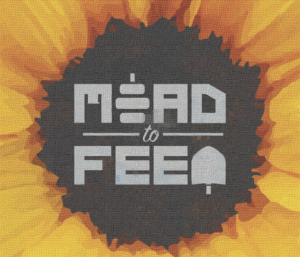 Mead to Feed is brought to you by New Day Craft and Indy Urban Acres – a project of the Indianapolis Parks Foundation. 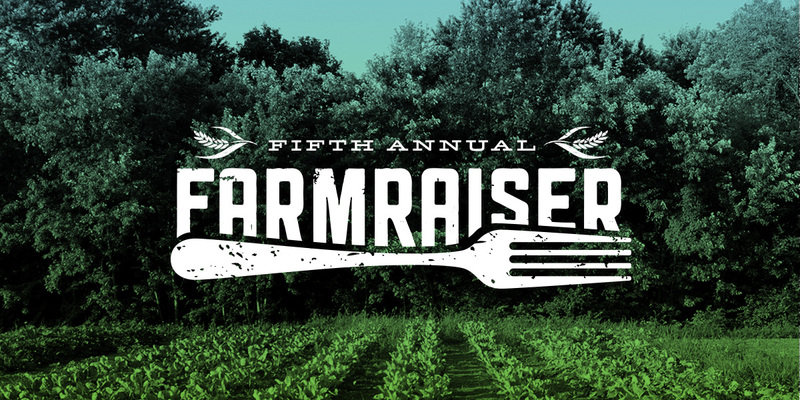 EVENT DESCRIPTION: $1 from each drink (2-10pm) supports Indy Urban Acres. At 7pm the ideal Friday date night activity begins. Bring your boo, bae, babe, honey, or bestie and learn how to arrange flowers like a pro. WHAT YOU GET: 1 drink per person, charcuterie, choice of plant (variety of tomato and herbs), and choice of planter. What do I do at Mead to Feed if I’m not registered for the activity? Drink for good Your glass of mead has power. The power to simultaneously quench your thirst and help IUA feed the food-insecure families of Indy. Now you’ve started the weekend feeling good and doing good! Meet people This is a casual event for chatting, laughing, and loosening that proverbial or very real tie of yours. Come on! We’re friendly. This September, let’s appreciate how parks provide education for youth and adults with a little trivia! SIGN YOUR TEAM UP WITH A $5 REGISTRATION! $1 per pint (purchased between 5-8pm), all team registrations, and all donations support the Indianapolis Parks Foundation. Grab your boots and join us for dinner, drinks, and dancing at Indy Urban Acres to benefit the Indianapolis Parks Foundation. 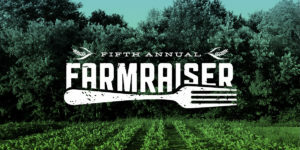 Enjoy a guided hike through the grounds, local libations, farm-fresh fare in the hoop house, and desserts by the bonfire. Check out photos from Farmraiser 2017! There will be food trucks and a beer garden as well in addition to 25 non-profit organizations. Join us to learn more about Indy Urban Acres, and how you can get involved. 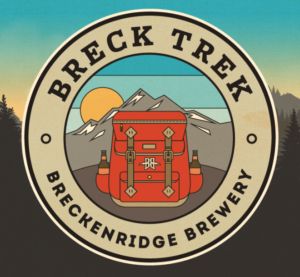 Breckenridge Brewery is on a trek to Indy and they are bringing a taste of Colorado lifestyle. On Tuesday, October 16th they will be guiding you on a bar crawl from Tappers Arcade, to Scotty’s, and ending at Fat Dan’s. 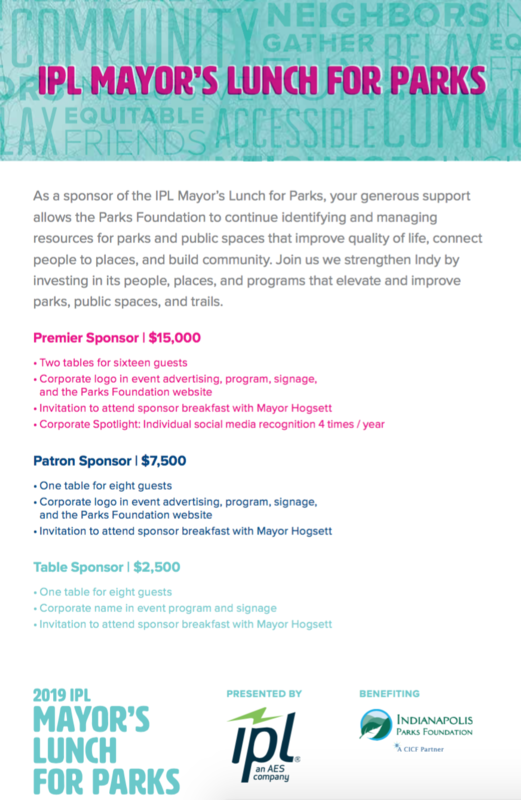 All proceeds of the event benefit the Indianapolis Parks Foundation! Beer, Music, Prizes, Games, and more! On November 14th grab a beer and get your downward dog on! MHS (Managed Health Services) is providing a free yoga class from 6-7pm and Flat12 will keep the beer Vinyasa flowing. 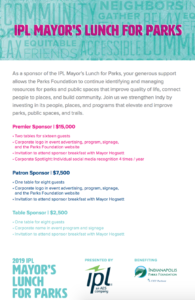 $1 per beer benefits the Indianapolis Parks Foundation! Show up with a yoga mat and grab a beer! Our Indy Parks are beautiful, but it is our programming partners and park users (you) who give them life! Get there early for a free kazoo! Receive a $5 gift certificate to the Indy Urban Acres Plant Sale with a purchase of your first beer!